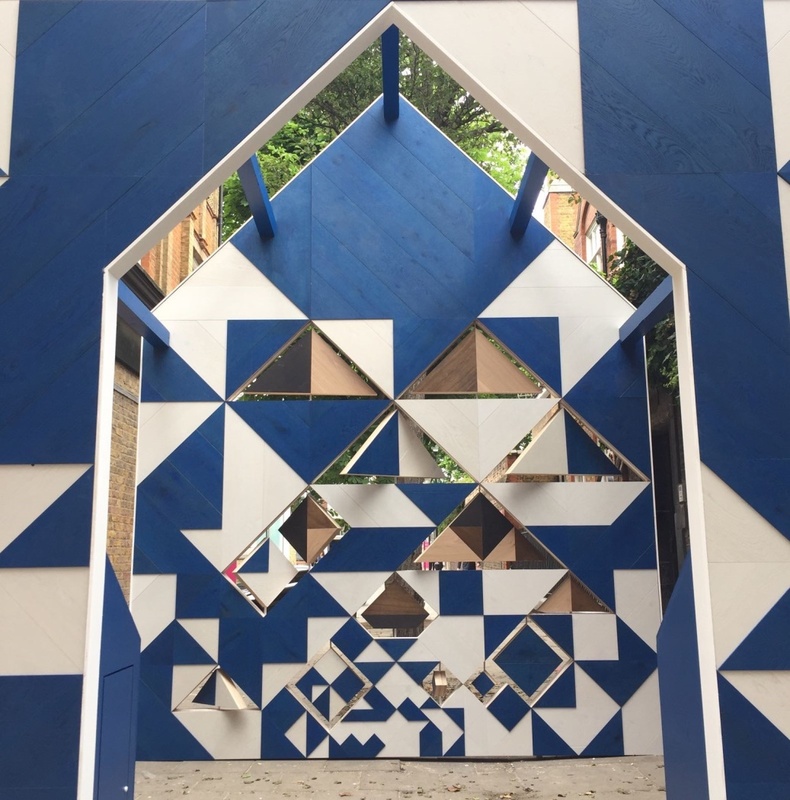 From today until May 25, you can visit Hakwood’s Double Vision during the Clerkenwell Design Week. We sponsor this 4 metre high structural installation with recursive patterns, inspired by the infinite possibilities of Hakwood’s wall tile range. The installation, which is part of CDW Presents, is nestled within the historic Clerkenwell Close (see map below). The first responses are enthusiastic: an unexpected blue-and-white surprise just around a corner. Double Vision is a double panelled structure which aims to create an uplifting moment whilst walking the CDW exhibition route. One vision represents the calm and natural wood tones Hakwood offers, the other shows a bold statement of contrasting bright colours. By combining these visions using rotating tiles in the middle, a third vision appears. The piece celebrates pattern and form and its powers to brighten and energize. It reflects the concept of Hakwood Wall Tiles for which each designer can make their own design statement based on their unique vision. Visit us and walk through our Double Vision at Clerkenwell Close, or follow our updates on social media (Facebook, Instagram, Twitter).